That means it starts NEXT SUNDAY! 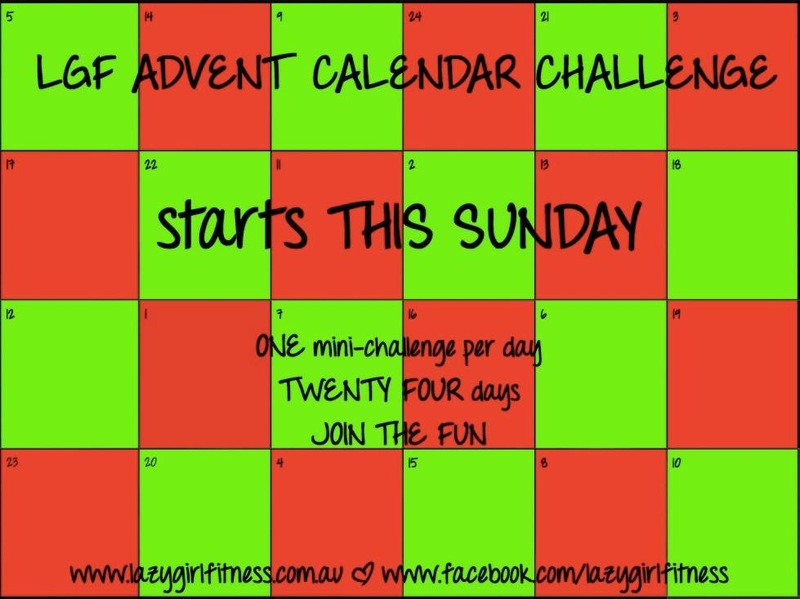 Feel fitter, healthier and stronger by Christmas Day! The mini-challenges are designed to be supplementary to your regular exercise regime, so they won’t take you too long to complete. Get involved by ‘liking’ the Lazy Girl Fitness page HERE. Easy as (fruit mince) pie! Looking forward to your challenge!